Paul Harrison, PhD, teaches, researches, consults and writes in the fields of health, essential services, public policy and economics through an examination of the psychology of emotional and rational behaviour, and the effect of marketing and advertising on consumer behaviour. Paul is co-director of Deakin Business School's Centre for Employee and Consumer Wellbeing, and is a senior lecturer and chair of the MBA marketing and consumer behaviour units. 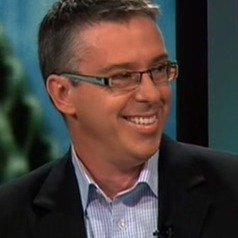 He is on a number of boards and committees, including past chair of the Asylum Seeker Resource Centre (ASRC), a director of Australia's Telecommunications Ombudsman (TIO) scheme, the consumer insights panel of the Essential Services Commission, and VicHealth's Social Marketing advisory group, and a Graduate of the Australian Institute of Company Directors. Paul collaborates with individuals and organisations who wish to understand human decision making, particularly in relation to consumer behaviour, and macro-marketing issues. He travels frequently, and works on research and consulting projects with universities and other organisations in Europe, Asia and the US, and speaks frequently on major media, such as TV, radio, and print, in relation to consumer behaviour, and the psychology of consumption. His work has been published in a range of peer reviewed journals.